Through Charity of the Year partnerships, cause related marketing, sponsorship opportunities and more, your company can join us and support our fight for young lives against cancer. 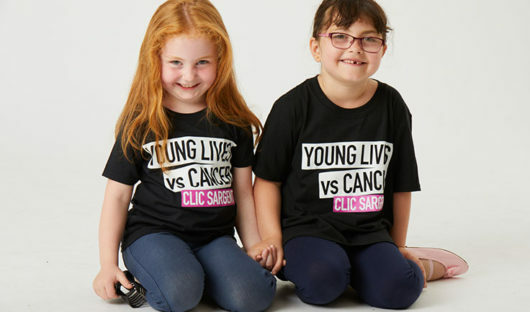 Morrisons has been in partnership with CLIC Sargent since 2017, raising millions of pounds for young lives facing cancer. J D Wetherspoon is CLIC Sargent's longest standing corporate partner, having been with us since 2002. The Signet and CLIC Sargent partnership has gone from strength to strength. CLIC Sargent secured a three-year partnership with the UK arm of Societe Generale. BAM Construct UK Ltd has teamed up with CLIC Sargent and pledged to make 2019 its biggest fundraising year. Snack brand Metcalfe’s® Popcorn has raised more than £90,000 to support young lives against cancer. A list of our other amazing corporate partnerships. Right now, due to lack of funds and awareness, we only reach two thirds of young cancer patients.